ASPHostPortal is the leading provider of Windows hosting and affordable ASP.NET 4.5 Websockets Hosting. Our price starts from $4.49 per month. 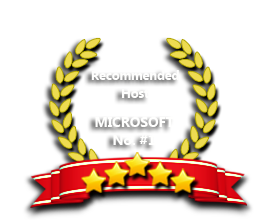 ASPHostPortal.com, as the premier provider of ASP.NET and Windows Hosting service, proudly announces that we have supported the latest Windows Server 2012. This Windows Server version does support WebSocket technology and ASP.NET developers can maximize this opportunity directly. In the Windows 8 consumer preview and Server beta, IE10 and all other Microsoft WebSocket client and server features now support the final version of the IETF WebSocket Protocol. Our key strength in delivering the service to you is to maintain our server uptime rate. We never ever happy to see your site goes down and we truly understand that it will hurt your onlines business. If your service is down, it will certainly become our pain and we will certainly look for the right pill to kill the pain ASAP. Our Control Panel provides the tools and utilities, which give you true control over your account and web pages. We'll get you up and running within 30 seconds of placing your order. Our Windows Cloud Hosting fully supports ASP.NET 4.5 Websockets hosting. You are more than welcome to try our Free Windows Cloud Hosting before you decide to buy. You can get your Free Cloud Windows hosting account up and running within the next few minutes.